Out of stock. 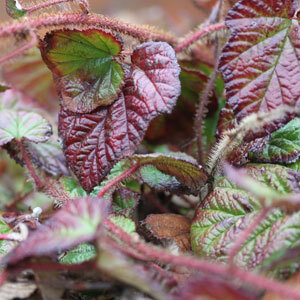 A prostrate shrub with red bristly stems and heart-shaped, glossy, dark green leaves. Pretty saucer-shaped white flowers in summer, followed by red fruit. Popular plants for flower arrangers. Max Height 60cm. Flowers June to August. Fruits September. Full sun/partial shade. Hardy.